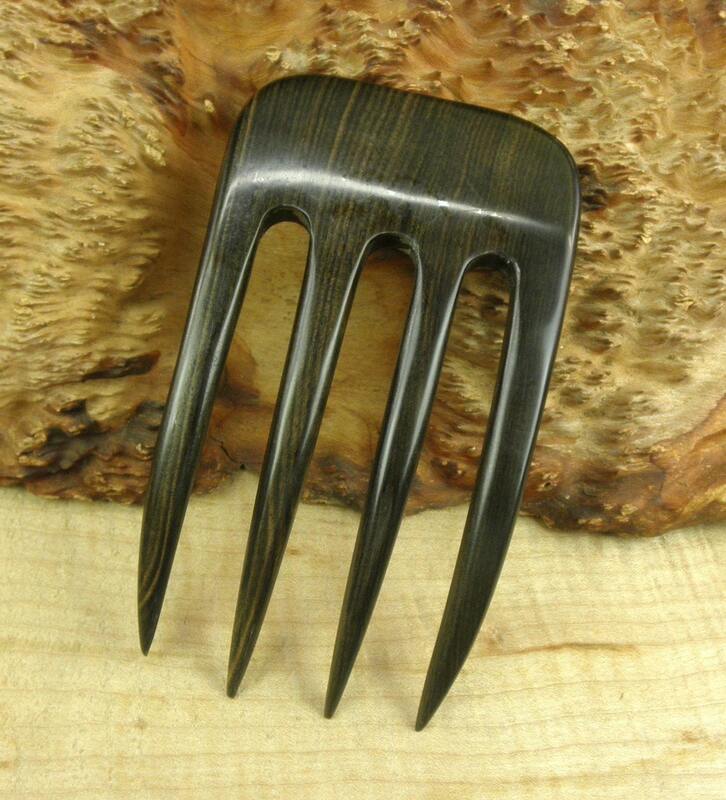 The 4 7/8 Inch Striped Ebony Hair Fork is curved to fit the contour of your head and can be used from several angles. 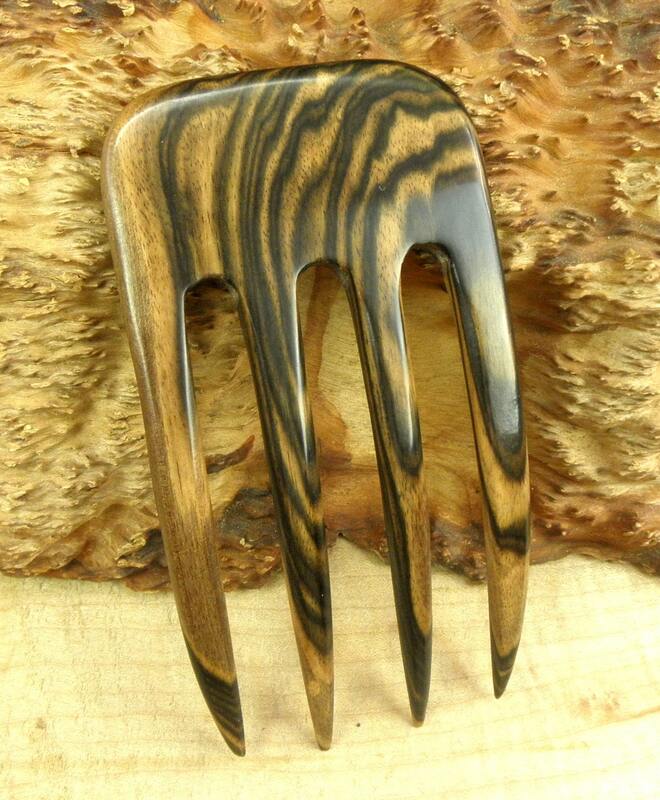 This Curved Striped Ebony Four Prong Fork is a "Rustic Heavy Duty " hair fork I have added to my line for the customer with Thick Hair that needs a super strong Hair Fork with great holding power. . It is 2 5/8" wide; 4 7/8" long and 1/4" thick. The pictures do not do justice to this Hair Fork. 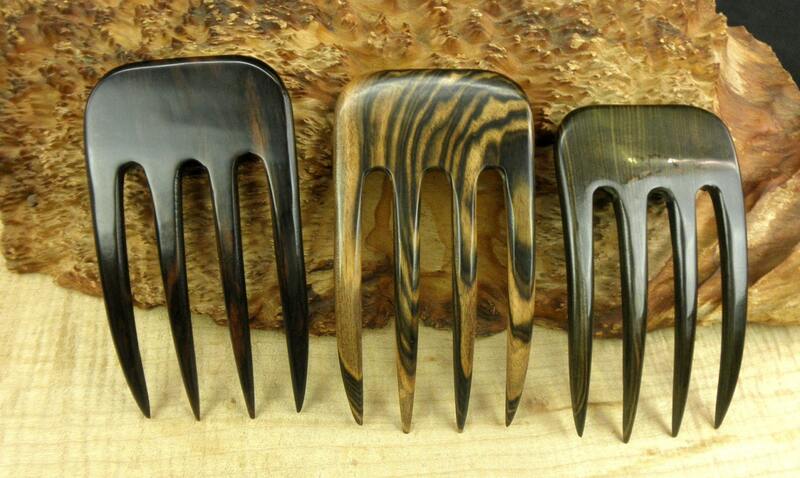 These Hair forks are being made out of Ebony and also Laos Rosewood so there are twelve different listings here on Etsy for these. Item is very beautiful and holds like a rock for regular hair as well. 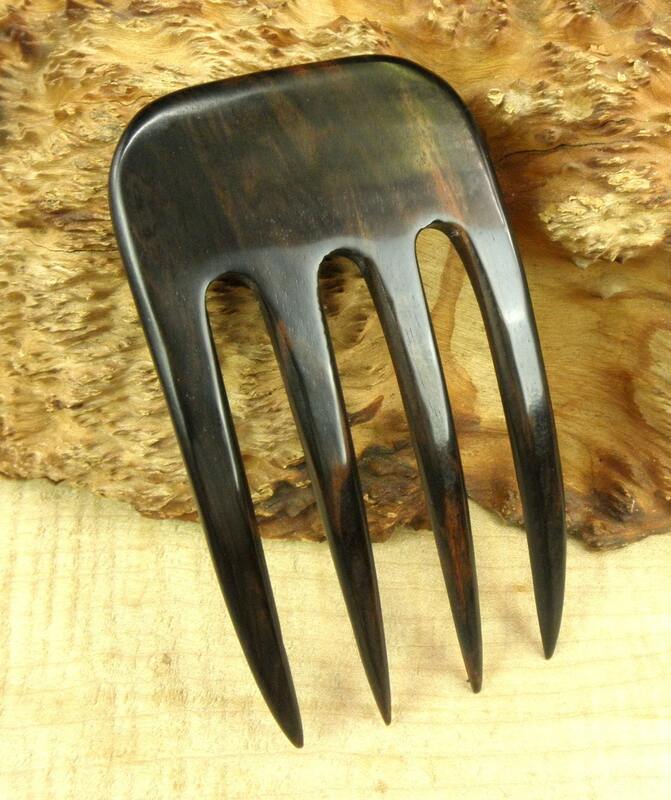 However if you ever have a black and white ebony fork as pictured please let me know :) also would love to see a tulipwood or even purple heart wood fork for sale and if you ever make some of them please let me know. thanks for the free gifts. I especially love the aluminum hair stick and see an aluminium fork purchase soon in my future!!! As always, a gorgeous and extremely practical product. I love your work, and thank you again for the free gift! Every hair fork I have purchased here (I have 3 now!) have held my long hair in place through hard work outs, and always look elegant and I think they do less damage than hair elastics. Thank you for a useful and beautiful piece of my favorite place on earth!